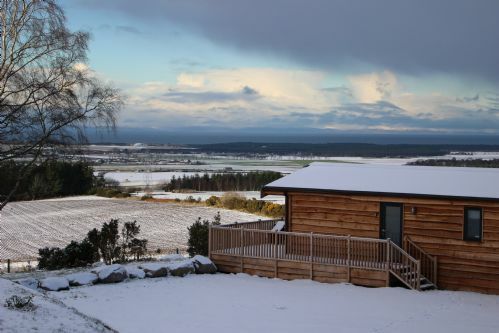 Ben Klibreck is an ideal location, providing quiet, secluded, comfort with magnificent views over the Moray Firth. It is within easy reach of Inverness Airport, and lots of attractions to visit. You will not regret choosing to stay if you want a relaxing break in comfort. 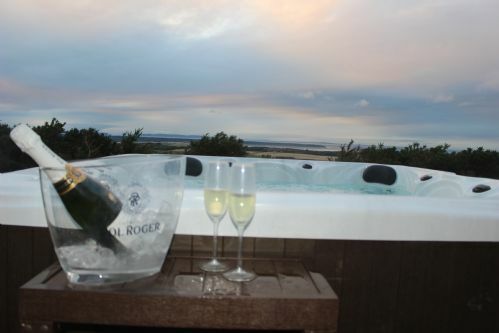 Ben Klibreck is a well appointed lodge in an excellent position for relaxing times in the hot tub enjoying uninterrupted views ovee Moray Firth. Everything you need is provided for your stay, with one exception: bath robes would make using the hot tub a great deal better. The sort of thing most people wouldn't have space for in their suitcase. Fantastic break, beautiful lodge, perfect setting! We had a fantastic stay at Ben Kilbreck! The lodge is stunning and clean. The location is perfect and picturesque and the facilities are more than sufficient. We got this break at a fantastic price and would 100% recommend to others. Bars, restaurants and shops are just a 10 minute drive away should you need anything and there are lots of tours, landmarks and activities nearby. Spent 4 nights here with my partner. Overall this was a great lodge in a beautiful part of the country. I will list some points of relevance to future guests (not complaints) below. 1. The exterior of lodges in pictures shown are not on the estate. These appear to be the lodges in an entirely different place. Currently the grounds around lodges are unfinished and ..well ‘rugged’. 2. The access roads for last 1-2 miles are in really bad condition. Make sure you’re not in a low sports car and you go slow. 3. There are is no milk/tea/coffee etc. There may be some washing up liquid/tabs etc but only if previous guest left any. Minimal toilet roll provided. 4. 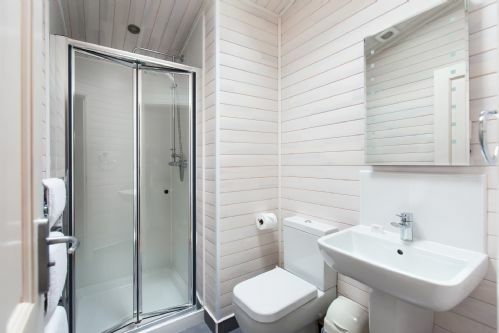 The 2 bed has no washing machine yet some booking sites indicated there was. 5. Only 1 shower in 2 bed and bath only in second bathroom. 6. A little minor wear and tear showing e.g tools for Dyson missing. 1 window missing the blind/ curtains. 7. Minimal towels provided. Advise bring extra especially with hot tub use. 8. The decking area around isn’t gated, therefore young children and dogs can’t be let out without supervision. 9. Only 1 pillow per person. 10. Kitchen well stocked with plates, cutlery etc. 11. Very clean and modern. 12. No WiFi but good 02 and vodaphone 4g signals. 13. Very warm and good water pressure. 15. External doors could be stiff and hard to open/ lock at times. Already planning a return visit. Lovely lodge kitted out to a high standard. Great views of the countryside and good base for travelling in the Highlands. Farm Road up to the property isn't the best so just take your time driving up but lodge itself is first class. 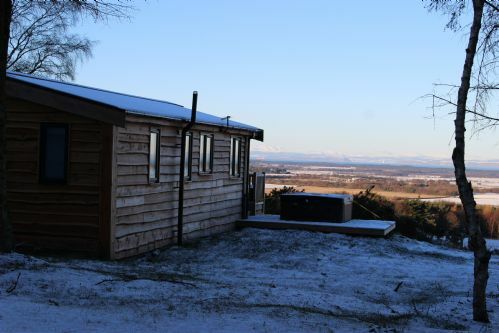 Superb lodge with excellent views of Moray Firth. Slight problem with the cleanliness of the lodge when checked in as bins and dishwasher hadn’t been emptied from previous owners. Hot tub lid kept coming off in the wind. After contacting the owner, the relevant staff came quite quickly and fixed the hot tub and the housekeeping staff apologised for the state of bins and dishwasher (which had to be emptied and cleaned by myself). Housekeeper assured that this was an one off incident. We enjoyed a comfortable and relaxing weekend in Ben Kilibreck lodge and thoroughly recommend it. 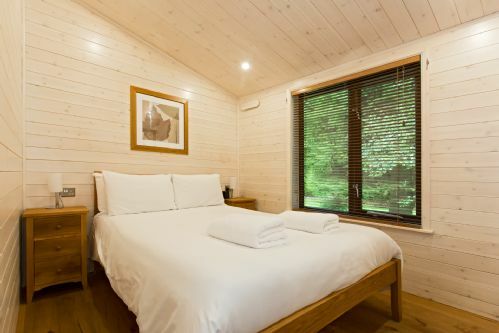 The lodge is very well designed and built, and the heating is excellent as are the other services. The hot tub is not to be missed no matter what the weather! The view over the Moray Firth and well beyond into the north and west is incomparable. The lodge is mostly very well equipped but there are a few things which might be provided to make it even better. In this day and age, the lack of broadband might be a disadvantage for some tenants, but installation may be very difficult. The equipping of the kitchen is a little sparse should the tenants be entertaining. For instance there is no teapot. The kitchen equipment could perhaps be reviewed. The provision of a soap dish in the shower would be helpful. The provision of towels could be more generous. The lodge is a considerable distance from the main road and unfortunately the access roads are full of potholes in several places. This might be a significant disadvantage for some tenants and it would be a great pity if the popularity of the lodges was diminished because of the state of the access roads. These comments are not criticism. They are intended to be helpful so that the pleasure and enjoyment for the tenants is even greater than at present. This was a wonderful weekend. 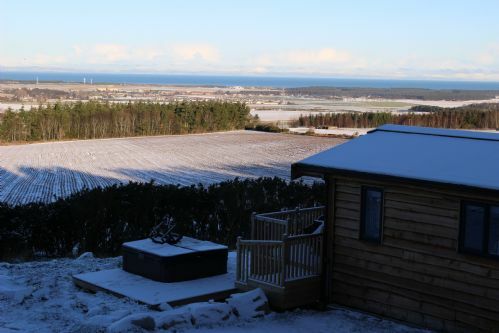 The weather was kind, so the views across the Moray Firth from the hot-tub were stunning. The area is lovely and quite tourist friendly, but the cabin was so well appointed and comfortable that had the weather been awful it would have been no hardship to have been confined to barracks all weekend. I cant recommend this property highly enough.